A history of continuous innovation to develop a new food packaging option. A warm welcome as warm as the materials we use. Our engineering team will assist you at each stage of the adoptation process. Switching to ceramics will be a pleasant evolution. We adapt our designs and proposals to your specific needs. We make everything using the OnetoOne system, a way to design the perfect container. Your Cermer container is authentic and shaped to your requirements. Cermer: a container that comes from three natural elements. Our ceramics are the result of the interactions and relationships between the three natural elements: Fire, Soil, and Water. When we talk about ceramics we talk about a process: the transformation of natural raw materials and natural resources into stunning long-life containers. Take a look on the supermarket shelves, does any product stand out? If it is Cermer, it does. A safeguard against temperature, humidity and light. Bright outside -or matte-, opaque inside, Cermer containers are a natural boundary against light, humidity and temperature changes. 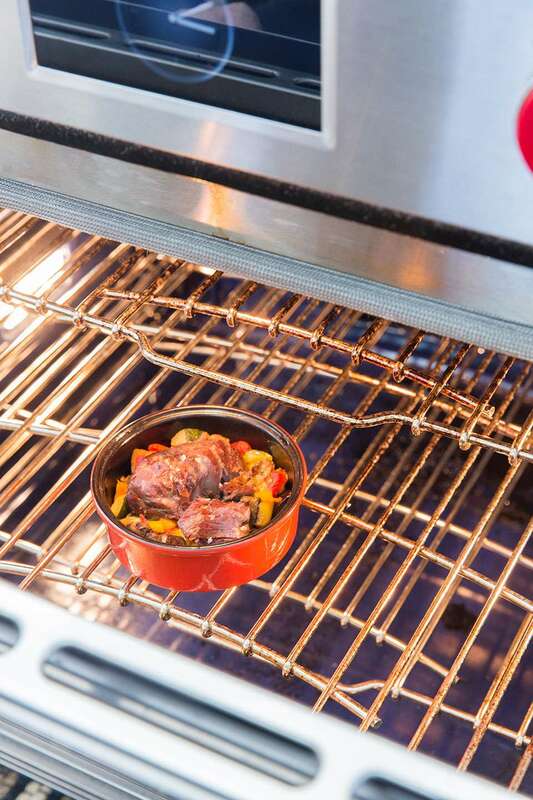 Dishwasher, freezer, oven and microwave safe they can be reused an infinite number of times. That’s the Cermer motto, a claim that sums up in a few words how a container can enhance the consumer experience. Or rather, a container that is an experience by itself. Every single atom has a purpose: to give the surface a pleasant feel. Almost haptic poetry recited by the container. A poem in ceramics that creates an aesthetic effect. The sound of the spoon touching the container walls’ is the sound of quality and enjoyment. That's how we work, we have developed a technology to design products within 5 weeks. Since 1990, Cermer is the world leading company in innovation and production capacity. 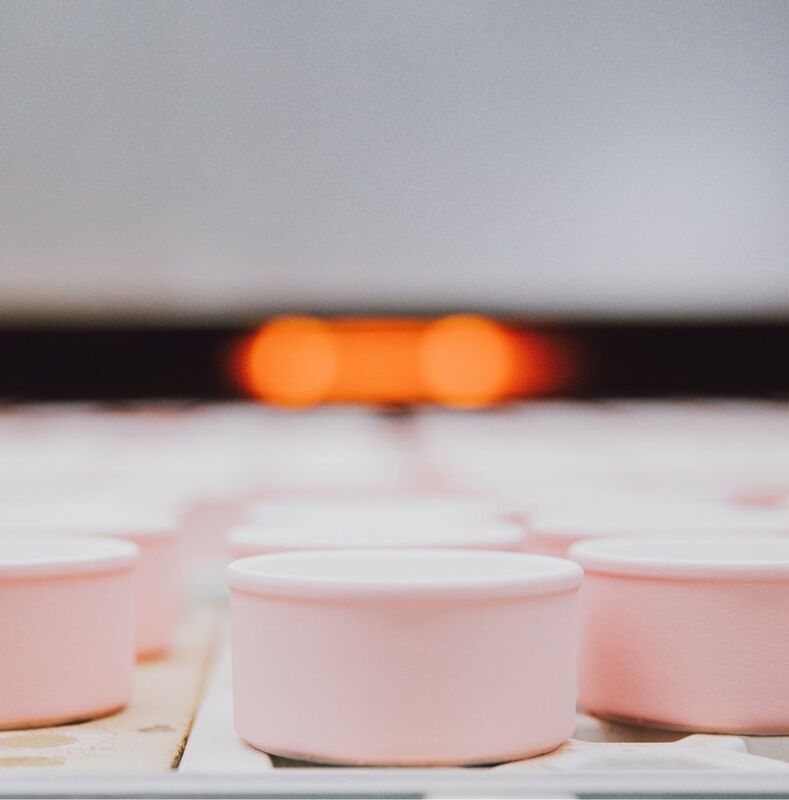 We created ceramic container for the food industry, serving our clients all over the World from the West Coast of the United States to Australia. 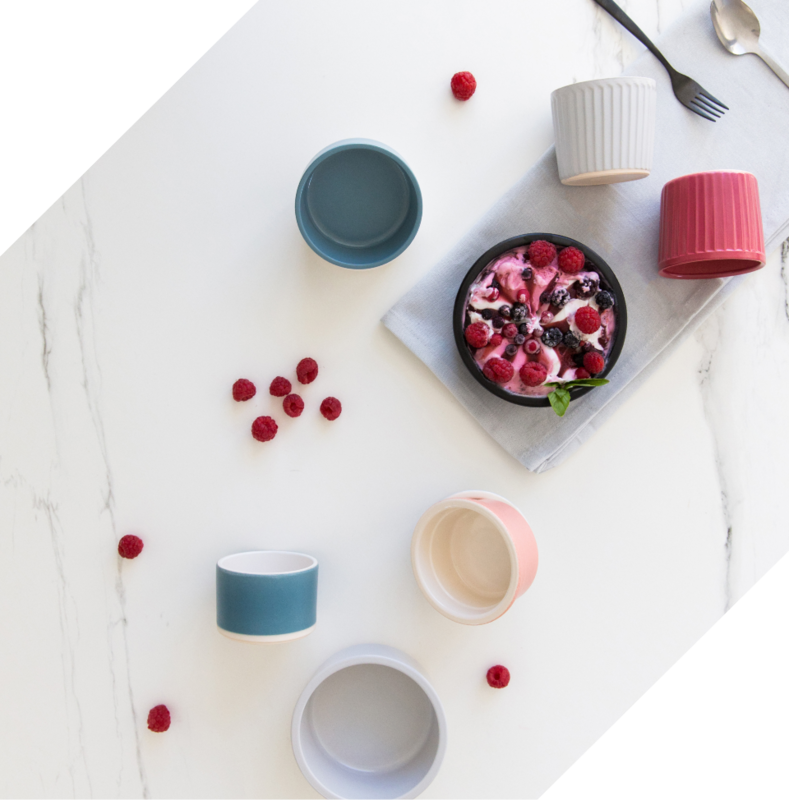 From a wide range of plastic lids, to our Ceramic Heat-Sealing Technology (CHST), our containers guarantee the quality of your product and enhance the consumer experience. *The integrated quality systems policy is at your disposal.